The MUN Project was organized completely by the MUN 6th Period, and it was definitely one of the most entertaining projects from start to finish. This was the project from which I learned the most about history, as we were very content heavy on World War I and II, the Holocaust, and the evolution of the United Nations. I loved how much we covered in such a short period of time, and it was kind of a relief to learn a little about a lot rather than a ton about a few subjects for a change. assassinated Archduke Franz Ferdinand of Austria-Hungary and his wife, Sophie. In retaliation, Austria-Hungary declared war on Serbia. Serbia, however, did not have the means of standing up to Austria-Hungary, and Serbia was allied with Russia, so Russia declared war on Austria-Hungary. Germany, who was allied with Austria-Hungary, saw the opportunity to enter the war as an opportunity to establish themselves as a world superpower, and thus declared war on Russia. Germany then declared war on France, as they were worried of a French invasion of Germany. Germany's declaration of war against France and their refusal to withdraw from Belgium were the final straws, and on August 4, 1914, Great Britain declared War on Germany. In this fashion, World War I began. World War I was also known as the Great War, and the War to end all Wars, because of how devastating its affects were. It was the first war to incorporate the use of trenches, machine guns, poisonous gases, tanks, and the use of planes in battle and scouting. There were two sides in WWI, the Allied Countries and the Central Powers. The Allied Countries included Great Britain, Australia, Canada, New Zealand, the United States, Russia, France, Italy, Greece, Serbia, India and South Africa. The Central Powers included Germany, Bulgaria, Austria-Hungary, and the Ottoman Empire (Turkey). Both sides suffered extreme losses, as there were 9,720,450 total military casualties, 8,865,650 total civilian casualties, and 19,769,102 total troops injured. Financially, the war was also an extremely heavy toll, as its total cost (in dollars) was $186,333,637,000. In todays dollar, that value is equivalent to $4,374,759,762,846. Obviously, the German people were in no way happy with the Treaty of Versailles, as in many ways it punished the civilians for the actions of their government. Hyperinflation quickly spread throughout Germany, and the soldiers that came home from the war had no jobs to return to. Just to provide an idea of how incredibly terrible Germany's economy was, in three years a bus ticket increased from 11 marks (Germany's currency at the time) to 1.2 trillion marks on November 22, 1923. One afternoon later, the fair for that same bus cost 4.8 trillion marks. People literally walked along the streets with wheelbarrows and buckets filled to the rim with money, the only problem was that that money was practically worthless. The downfall of the economy was purely the Treaty of Versailles' fault, but the people of Germany blamed the government. They were sick of their rulers, and wanted someone new, someone that would fix the problems that were ruining their day to day lives. That is where Adolf Hitler comes in. Hitler had previously tried to take over the government, but failed, and was imprisoned for his actions. During his time behind bars, however, Hitler wrote a book about the downfall of Germany's economy that Germans viewed as inspirational. In this book, he argued that the Jews could be blamed for the destruction of the German economy, as there were so many Jews in the banking industry. Hitler also promised the German people many things, throwing away the Treaty of Versailles and rebuilding the German army among those promises. Adolf Hitler became chancellor of Germany in January of 1933, and he immediately began secretly rebuilding Germany's army, air force, and war machines. He also demanded that all male citizens serve in the military. When the UK and France learned of what Germany was doing, they became scared, but they were more terrified of communism in Russia, and they led themselves to believe that a strong Germany would help combat communism. Hitler commanded Germany's suddenly strong army to attack and conquer Rhineland, but the international community was not ready for another war, so they forgave Hitler and allowed him to keep what he had taken if he promised to not take any more. Eight years later, Hitler signed the Rome-Berlin Access Pack, uniting Germany with Benito Mussolini's Fascist Italy. Hitler also signed the Anti-Comintern Pact, uniting Nazi Germany with the Empire of Japan. In March of 1938, German troops marched into Austria, and held an election to allow the people to determine whether or not they wanted to as the independent country of Austria. The vote showed that 98% of the people wanted to be annexed to Germany. After this, the international community began to realize the threat that Nazi Germany could pose. In response, Hitler promised that this was the end of Germany's expansionists aims, and that his country would not get any bigger. Hitler, not very surprisingly, did not keep his word, and demanded that Sudetenland be returned to Germany. Trying to avoid another massive war, Neville Chamberlain of England met with Hitler, and came to an agreement. Mr. Chamberlain and Hitler agreed that Germany could have Sudetenland if Hitler promised to stop expanding his borders and to not start a war. Again, Hitler did not keep his promise, and in March of 1939, one year after invading Austria, German troops invaded the rest of Czechoslovakia. The Czech's turned to Britain and France, but the two countries refused, and thus Czechoslovakia became part of Nazi Germany. Great Britain and France, however, promised to take military action if Hitler attacked Poland. In September 1939, Germany invaded Poland, Great Britain and France kept their promise, and World War II began. World War II had many terrible moments, but perhaps its darkest was the Holocaust, which Hitler justified through his argument that he was trying to "purify" the Arian race. One of the first steps leading to the Holocaust were the Nuremberg Race Laws against Jews, which were decreed on September 15, 1935. They deprived German Jews the right of citizenship, did not allow them to marry, were not allowed to employ or have sexual relationships with Germans, and, eventually outlawed Jews completely, completely depriving them of their humanity. Another important step forward towards the Holocaust came on June 17, 1936, when Heinrich Himmler was appointed head of the German police. Himmler would eventually become Hitler's right hand man, and head of the concentration camps. 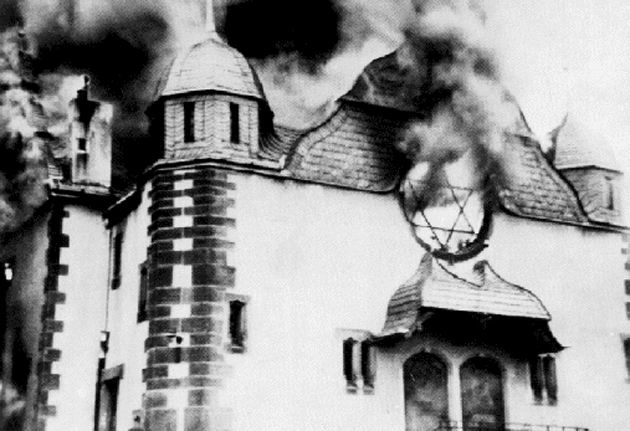 s used for the first time to kill mass Jews, beginning the use of the infamous Nazi Gas Chambers. On July 7 of that same year, Himmler granted permission for sterilization experiments at Auschwitz, allowing the Nazi's medical testing on Jews to begin. The horrors that occurred in concentration camps were kept a secret until July 24, 1944, when Russian troops liberated the first Concentration Camp. On October 30, 1944, the gas chamber was used for the final time at Auschwitz, and in 1945, as Allied Troops advanced, conducted their infamous Death Marches of concentration camp inmates. On April 30, 1945, Adolf Hitler committed suicide in his Berlin bunker, and on May 7, Germany delivered its unconditional surrender. Thus concluded the horrors that were World War II and the Holocaust. For this project, I was assigned the country of Singapore. I was extremely surprised by what I discovered about this tiny little country when I was conducting my research. It is a small island state roughly 100 square miles smaller than the city of San Diego, CA, yet it has one of the strongest economies in the world and one of the strongest and most technologically advanced militaries in Southeast Asia. It has a population of 5.4 million, yet it still has s GDP of $326.5 billion, and a $60,410 per capita annually. It also has a staggeringly low unemployment rate of 2.0%. According to the 2014 Index, Singapore also lays claim to the second freest economy in the world. I also found it surprising that Singapore has gotten to where it is financially with virtually no natural recourses. Our two day MUN Summit was definitely my favorite project of the year. Usually I have trouble identifying my favorite project, as each provides a unique experience, but MUN won by a mile this year. The conference also helped me learn a lot about international cooperations. My overall experience in the conference was fantastic, as I was able to express my countries views, and for those 48 hours I was not Rafael Rosas, I was the Republic of Singapore's Representative for the UN Summit regarding Overpopulation. However, now I understand why politicians take forever to pass the simplest laws. My committee only passed one resolution after hours of deliberation, a testament to all the different views, beliefs, ideals, values, religions and governments present during a UN Summit. Restricted by my nations conservatism and beliefs, I was limited to only supporting three resolutions, two of which I helped draft. The one that I did not draft but did support regarding establishing an international fund to help pay for education to make it more accessible throughout the world. The two resolutions that I helped draft were very distinct. The first one, which I drafted with the help of India and Italy (but of which I was the main draftee), was the Temporary Worker Program, aimed at helping solve the economic issues caused by overpopulation. This resolution was reflective of Singapore because life in Singapore revolves around finance and economics. Simply put, this resolution would cycle unemployed workers from overpopulated nations through underpopulated nations that did not have the population to fill the jobs they needed to be filled in order for their economies to grow. The second resolution aimed at solving the epidemic that had just broken out in the US in our committee. Essentially, Germany, Singapore, Spain, Thailand (who somehow became extremely wealthy in our committee), and the UK would fund all the research, laboratories, equipment and subjects necessary to help find a cure. In exchange, the nations to which the cure would be distributed to would pay back the original nations with a small percentage of interest. This is reflective of Singapore's views because the people of Singapore are always looking for the best investment, and this held a lot of promise. Above is the Position Policy Paper that I submitted on behalf of the Republic of Singapore. It is just a quick explanation of what Singapore believes regarding the given subject, and one explanation of how Singapore believes it can be solved that I presented at the MUN Summit. I am very proud of this Position Paper because I believe it helped me win the Best Delegate Award.